Open Access Statement: Dacoromania publishes fully open access articles. No publication fees are charged. 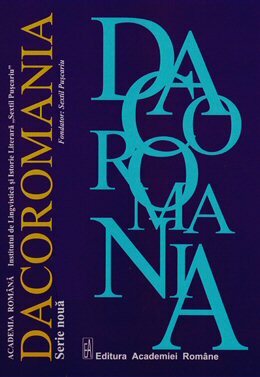 “Dacoromania” (DR) is a scholarly journal that welcomes original contributions in all areas of linguistics and philology. The new series of DR has been issued since 1994 by “Sextil Puşcariu” Institute of Linguistics and Literary History, one of the research institutes of the Romanian Academy based in Cluj-Napoca, and is published by the Publishing House of the Romanian Academy. The aim of the journal is to publish, first of all, high-quality linguistic research undertaken locally and regionally, but submissions from European and other international scholars have equally been hosted by DR and are always welcome.